2m HDMI Cable, High Speed with Ethernet, Gold Plated, male to male. Suitable for 3D TV, 3D HDMI, Sky 3D, 3D Blu Ray. Supports resolutions up to 4k x 2k, including 1080p. 0.5m HDMI Cable - Pro Grade Gold Plated High Speed HDMI with Ethernet for HDMI 1.4, 1.4A, 2.0 and older. HDMI to HDMI male. 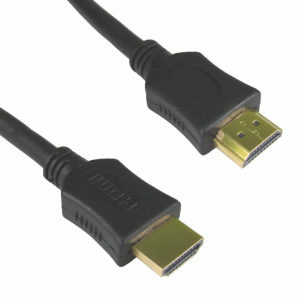 A professional grade cable for transferring high-bandwidth, uncompressed digital video, multi-channel digital audio and control functions Compatible with HDTV and HDCP (High-Bandwidth Digital Content Protection) - the content scrambling standard for modern, advanced digital video displays and DVD players Connectors: HDMI Male/Male, Type A. Suitable for HDMI 1.4 and HDMI 2.0 equipment, backwards compatible with older HDMI revisions. 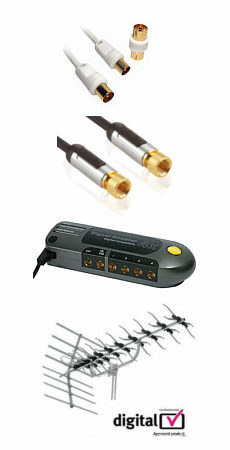 Metal body plugs for enhanced shielding and durability. Length 0.5 metre.